Swedish massage therapy is what comes to mind when most people think about massage. One of the main goals of Swedish massage is to relax the mind and body using gentle but firm pressure in long fluid movements. Swedish massage therapy offers more then relaxation. It is exceptionally beneficial for increasing the level of oxygen in the blood, decreasing muscle toxins, improving circulation and flexibility while easing muscular tension. ▪ Helps stabilize hormone levels, lessening anxiety and depression. Trigger Point is a tight area within muscle tissue that causes referred pain or sensations in another area of the body. Trigger points can cause extreme pain, neurological seeming symptoms, decreased muscle function and decreased flexibility. They can also go unnoticed. Trigger point massage therapy is specifically designed to alleviate the source of the pain through cycles of isolated pressure and release. Releasing these constricted areas (“knots”) in the muscles thus alleviates pain. You may experience a significant decrease in pain after just one treatment although more then one treatment is usually required to eliminate a trigger point. Deep Tissue massage is similar to Swedish massage, but deeper pressure is applied to release chronic muscle tension. The focus is on the deepest layers of muscle tissue and tendons. Deep tissue is usually site-specific, and is very affective on chronic and over use type injuries. Adhered (“knotted”) muscles can block nutrients and oxygen from getting to where they need to go. This can allow toxins to build up in your muscle tissue. The inflammation and toxins contribute to pain. Deep Tissue Massage breaks up and releases these built-up toxins by loosening the muscles. With the toxins released, blood and oxygen can circulate. It’s important to drink lots of water before and after your massage to help flush these toxins out of your body. Despite its name, deep tissue therapy does not need to be uncomfortable. In fact, when a muscle is in pain from too much pressure the muscle’s fibers contract in a protective response. 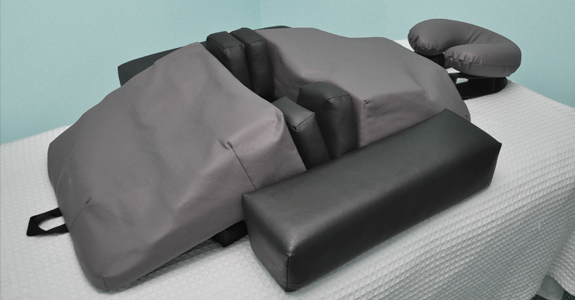 This defeats the main purpose of massage therapy, to elongate and relax the muscles. 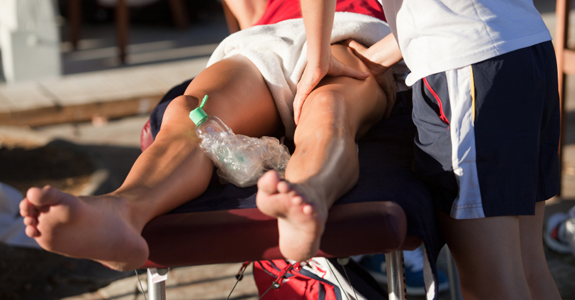 Sports Massage therapy is geared toward athletes of every age and performance level, in any sport. Massage allows for quicker recovery times between training sessions, decreases the risk of injury, promotes flexibility, reduces fatigue, and can improve endurance. Massage techniques are specific to the athlete’s sport of choice, focusing on areas of the body that are overused and stressed. Soft Tissue Release is a highly effective technique that has an immediate positive effect on muscle and connective tissue. The technique involves applying precise pressure to a muscle during a specific stretch. The goal is to encourage spontaneous release of the injured muscle. This results in lengthening of the targeted muscle to it’s intended state and as a result, decreased pain. These techniques are effective on both acute and chronic pain and can be incorporated in to any type of massage. Youth Massage is for everyone from infants to elderly. Many people ask us, “Would my child benefit from massage?” The answer is, YES! From sports, to daily stresses, to social anxieties, our kids have a lot weighing on their little minds and growing bodies. Massage can help alleviate these stresses, teach them to relax, improve their sleep and keep their bodies healthy, and working & healing well. If your child can understand a simple explanation of their proposed treatment, and give consent, they are ready for massage therapy. The therapists at Revelation are very professional and will ensure your child’s comfort and security. Parents are also welcomed into the treatment room to observe and offer support until your child is ready to enter treatment alone. 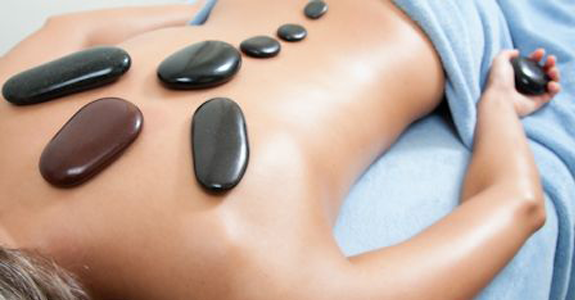 Hot stone massage is a type of massage that uses smooth heated stones that the therapist places on your body, as well as in his or her hands to massage the body. Typically made of basalt (river stones), these stones are formed as lava cools following volcanic eruption, they are smoothed by the continuous movement of water over the stones. Basalt stones also have an inherent ability to retain heat allowing the warmth from the stones to decrease joint pain, improve circulation and reduce stress and anxiety. Hot stone massage is deeply relaxing, and the heat from the stones allows your therapist to manipulate your deep tissues more effectively. 60 & 90 minute sessions. Reflexology is a specialized treatment for the feet, it encourages the release of tension and stress, increases circulation, detoxifies as it helps to flush away metabolites (“toxins”) and aids in normalizing your metabolism. During this treatment the client is fully clothed, only socks are removed, the feet are then massaged using appropriate pressure to specific points and areas on the feet. Reflexologist’s believe that these areas and reflex points correspond to different body organs and systems, and that pressing them has a beneficial effect on the organs and person’s general health. Many people have a profound sense of relaxation and increases energy following their treatment. These treatment can be done on its own or as a compliment to any massage therapy treatment. 30, 45, 60 minute sessions. Indian head massage originated from Ayurveda, the ancient Indian system of medicine. It is a form of relaxation massage that focuses on the face, head , neck and upper arms. Indian head massage increases circulation, relieves stress and depression, improves lymphatic drainage, increases mental clarity, is deeply calming to the nervous system and improves sleep quality. Extremely beneficial to those suffering from migraines, headaches, facial and sinus pain, anxiety and insomnia. Try this treatment on its own or as a relaxing finish to your massage treatment. 30 minute session. Why choose Revelation Massage Therapy & Wellness?